October 17, 2018 was a day that will be etched in history. That was the day that Canada became the first country outside of Europe to legalize marijuana for recreational use. It may be a surprise to some of the world, but it is very much in keeping with the social legacy that Canada has had all through its modern history. Canadians can marry whomever they want to legally, and now, Canadians smoke marijuana legally. It is amazing to know that in the current global political climate, Canada is blazing a path on the right side of history with this kind of sweeping legislation. It makes you proud to be Canadian, it makes you proud to be a part of this time in our history and it makes you proud to be a weed connoisseur. Yes, good people of Canada, we did it; but we did it, not everyone. Our friendly neighbours to the south are not so casual about the idea of recreational smoking of weed. It is for this reason that you should be very careful when it comes to being a forward-thinking citizen of an open minded country dealing with international borders. It is legal in Canada, but depending on where you travel, even a little bit of weed can become a huge legal problem for you. Make sure you learn all the legal ramifications before you even think about packing your bong when you fly out of the country. The new law allows you to take a small amount of marijuana on any flight within the boundaries of Canada. You can take a little bit of the world-famous BC quality weed to your cousins in Toronto, but that is it. That is where the party stops. Do not take any amount of weed across the border into the US. The state laws differ from place to place, but even if you go to Colorado, do not attempt to take marijuana across international borders. The penalty is not worth the risk. This goes for medical marijuana as well. Medical marijuana is still marijuana, and you could have your doctor next to you in the customs line, but it will not make it okay to have weed in your luggage. 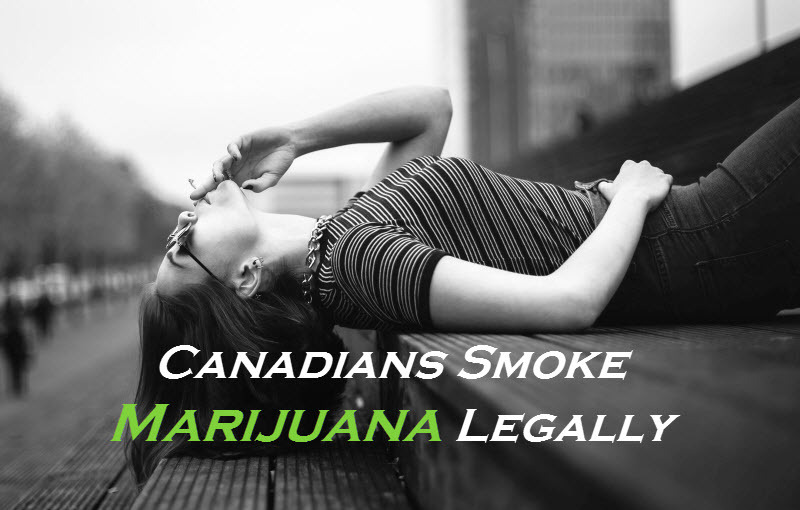 Canadians smoke marijuana legally but most of the United States don’t smoke legally, it is illegal federally, and customs officers have no sense of humour about it. This is also true about bringing marijuana into Canada from anywhere else. Canadian customs will confiscate your imported weed when they find it in your bags and there can be other legal backlash that goes along with it. Canada is okay with Canadian weed. Do not bring any pot in from anywhere and don’t take our weed out of the country. Canadians smoke marijuana legally in Canada and let us keep it that way. When you return to Canada from a trip away, shop Pacific West Bud for your marijuana supply. They are great weed suppliers and have an amazing array of quality bud for you to enjoy.